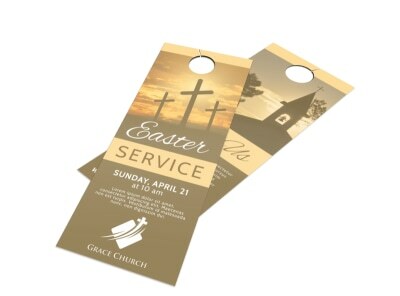 Customize our Easter Sunday Service Door Hanger Template and more! 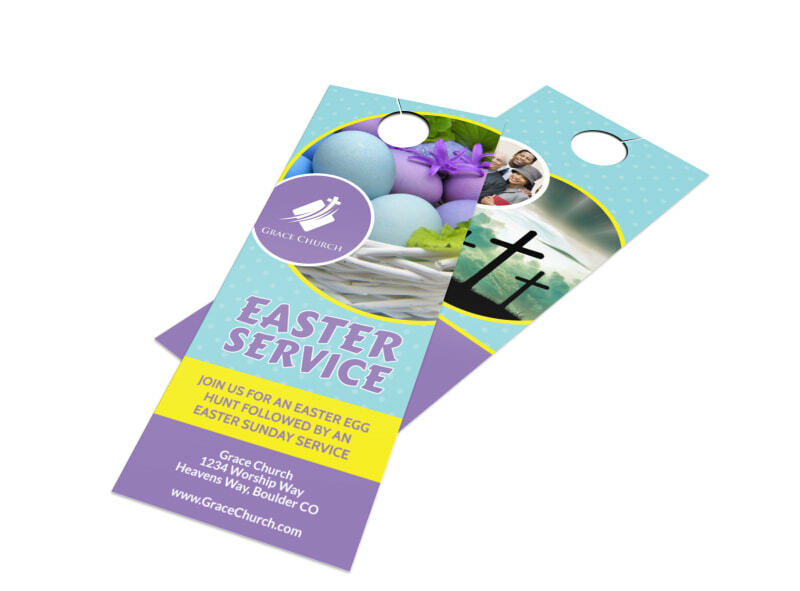 Increase Sunday service attendance with customizable door hangers that you use to canvas the area to invite families out for today. 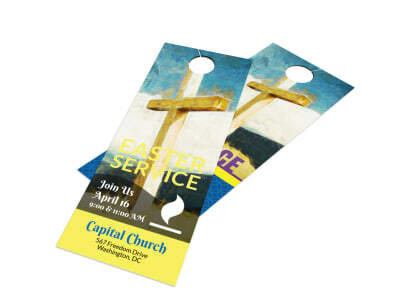 use your door hanger to include the times of services, any special children's programs, and a cordial invitation to come out and worship. 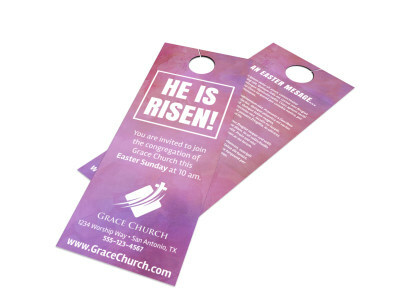 Your door hanger is completely customizable using the elements you like most, and you can choose to print your door hanger from your location to get it in hand faster.